The MC48 seems like it would make a great addition to anyone's mic collection. I plan on obtaining one of these soon and doing a full review on it. "The Nevaton MC48 is a large dual-diaphragm stereo condenser microphone with transformerless Class 'A' electronics. It produces an incredible spatial representation and can be used as a main microphone for recording orchestras, chamber ensembles, or pop concerts. It is great for guitar and drums as well as ambient field recordings. It is also well suited for applications in radio and television broadcasting as well as for live concerts and studio sound production. 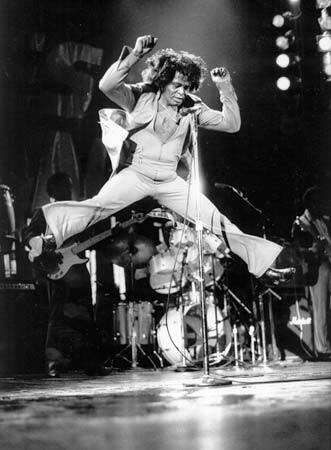 The microphone has an excellent transient response, very low self-noise of 12dBA, and sound pressure level of 135dB. The two large 25mm diaphragms, placed one above the other, can be simultaneously rotated to provide variable stereo width from 50° up to a maximum of 140° and are capable of advanced, adjustable cardioid functions in mono mode. The ultra-thin and gold-coated diaphragms are made of 3-micron polyethylene-terephtalate film and give the MC48 the brilliant and transparent sound it is famous for. All capsule components have passed a special artificial aging process to guarantee long-term stability.The internal construction is elastically mounted to attenuate vibrations and reduce handling noise. Additionally, the capsules are fixed on special dampers to further reduce mechanical noise." 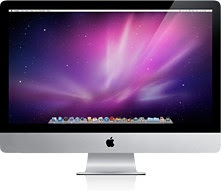 New Quad-Core iMacs are here. With more power, improved graphics, Facetime camera and Thunderbolt ports. My Visit To A Personal Studio with an MCI Console. Last weekend I visited my good friend Karl at his personal studio. Karl is an electronics whiz, avid guitarist. gear head and purveyor of good sonics. The centerpiece of Karl's studio is a Sony MCI JH500 console. The original MCI 500b was the first console I ever worked on so I was thrilled to see and touch one again. The last time I worked on an MCI was back in 1991. The reason for my visit was social but as usually happens when two gear heads get together we started talking shop and experimenting with the board and different gear. We also tried out different digital clock scenarios with his Protools HD rig. 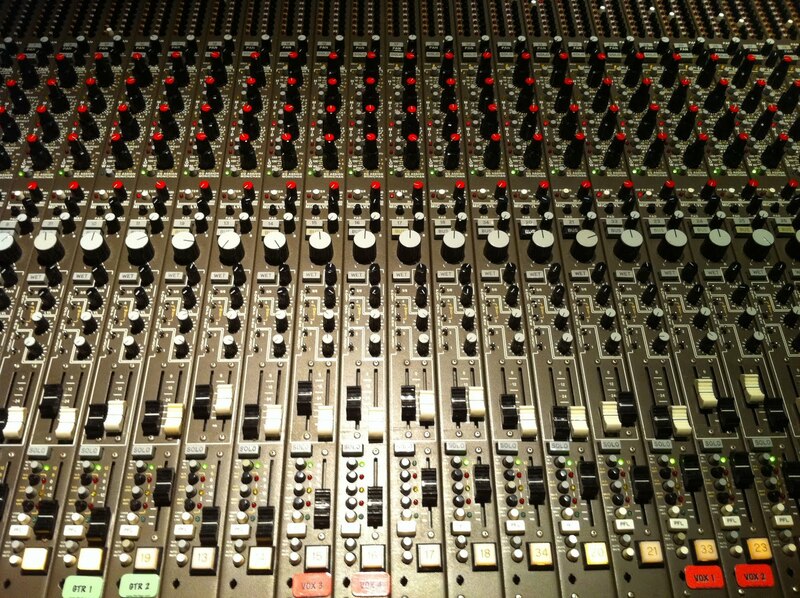 This particular MCI console was refurbished by Karl himself and sounded great. He even had multiple master sections from different consoles that each had their own texture. Unlike digital gear no two analog gear sounds identical even when it's the same model and manufacturer. The differences are subtle but they are present nonetheless. I'm particularly fond of the Mix Boost feature on the master section of the JH500. This not only adds gain but a nice texture and sonic "glue" to the sound coming from the console. Here are some pics of the MCI. Another piece of gear that was also the first I ever used when I started engineering years ago is the Orban Parametric Equalizer 622b. The Orban and the MCI's onboard eq was my equalizing "boot camp" so to speak. 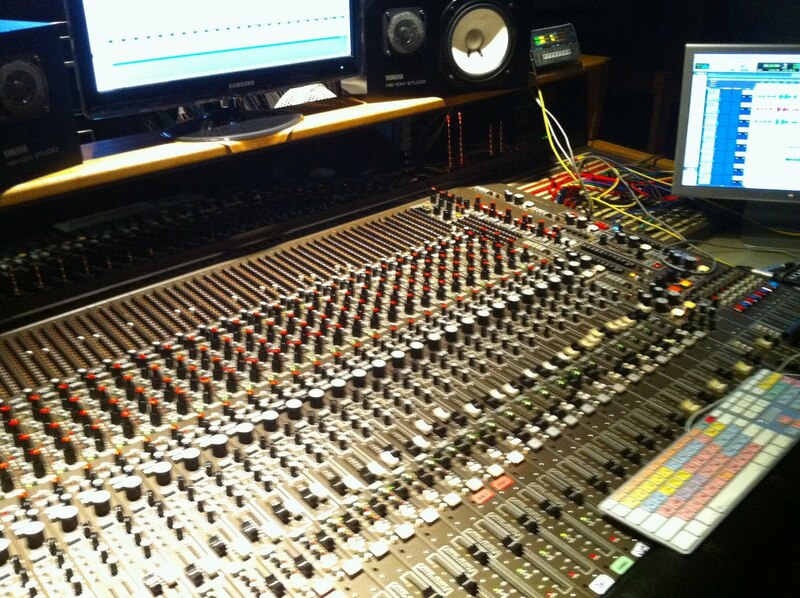 Then once I "passed basic training" I was introduced to Neve, API, Pultec, Focusrite and the SSL. Also present was some of the first compressors I ever used; the DBX 160 VU and DBX 165. The 161 is identical to the 160 except it's unbalanced, Karl modified his to be balanced and added TRS connectors. The 165 is identical to the 165A minus the Peak Stop Feature. (See pic). Here's a pic of Karl's prototype compressor that he built himself. It sounded great on the stereo buss of the MCI. It's a work in progress and works well on a variety of sounds even when pushed hard. 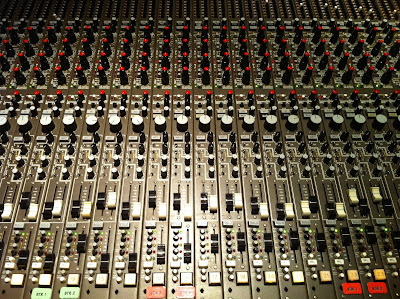 He recently acquired a pair of Siemens Mic Preamps while on a business trip overseas. The Siemens UA preamps were originally made in Austria during the late '60's/early 70's. Here's a pic of one of the units. He is currently building a rack for the Siemens but was able to connect them temporarily for a quick listening test. The Siemens have a nice color with a big, warm sound and lots of presence. 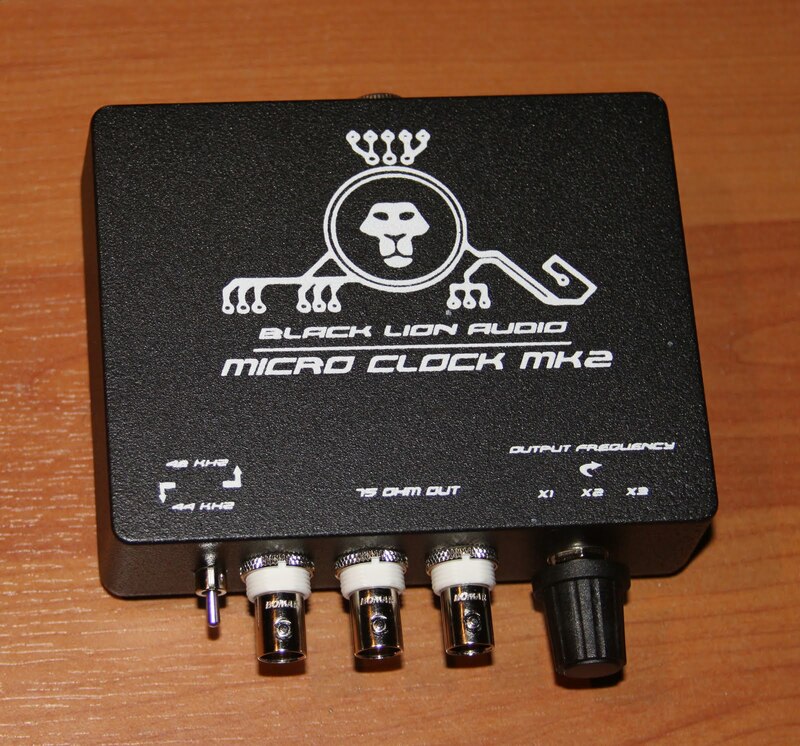 There are 3 selectable impedances (180,600 and 1900 ohms) and 30-60 or 40-70 db of gain depending on the input used. Look forward to using them on an actual project. 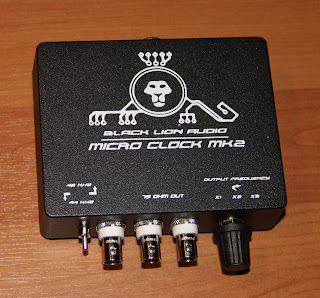 Last but not least we compared the clocks between a Black Lion Audio Micro Clock, a Crane Song HEDD 192 and an Apogee Rosetta. After a few minutes of taking turns doing a hurried blind test we decided that the Crane Song sounded the best with the BLA Micro Clock a very close second.We used the stock converters of the Protools 192 i/o to do the comparison. We plan to do a more extensive test in the near future.